Offering you a complete choice of products which include welding hose cable. We have gained expertise in field of providing Welding Hose Cable to our prestigious clients. It is made up of high grade copper and aluminum ensuring excellent conductivity as well as general purpose. We have bulk stock of this and it is free from all types of defects. 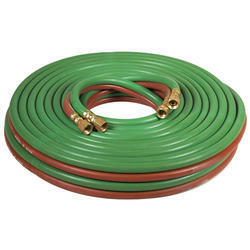 Offered in high quality packaging, this Welding Hose Cable is as per the defined industry standards.